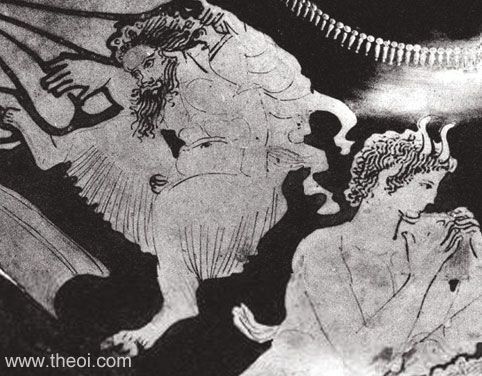 Detail of a pair of Panes from a painting depicting the retinue of the god Dionysus. The older, bearded Pan carries a wineskin on his back, while his youthful counterpart plays a set of panpipes. The Nymph Echo faces the pair (see other image).